One of my goals for 2019 was to write more patterns. I want to write/publish one per month. Even though January was the Longest.Month.Ever, I still managed to miss my first marker. Partly because I’m new to this and partly because I’m a bit of a perfectionist, it’s probably not as great as I want it to be. But probably, they’re going to get better. I wanted to wait until I had better photos. I wanted to wait until I got all my feedback from my test knitters. But I’m new to test knitters and my test knitters are new to test knitting. But I’m going to do it anyway. And I’m going to learn and maybe I’ll re-release it when it’s better. But here it is. If you make it and give me feedback, I will love you forever and I will send you an ad-free pdf of the pattern, and all updates when they come out. This is a one-size pattern. If you want a smaller or bigger fit, try casting on fewer/more stitches in multiples of 3 and adjusting the total stitches accordingly. Ensure that you have an odd number of stitches for the edging stage. This will make the cardigan wider. To make it longer, knit more rows (try 24 inches of body). 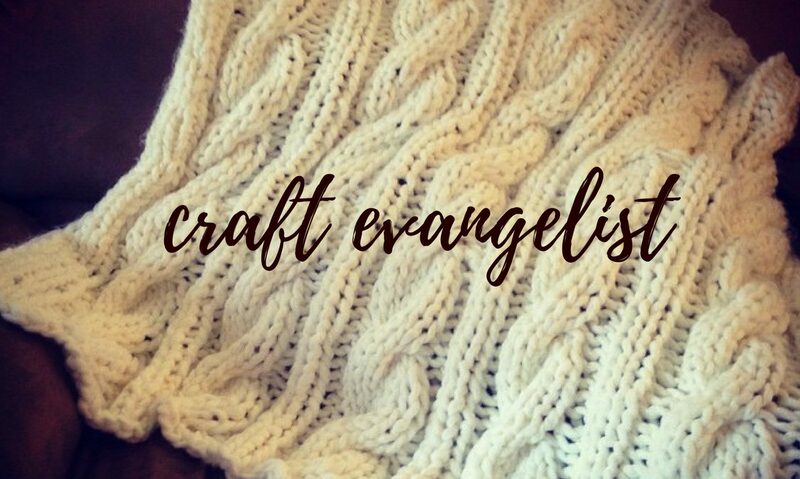 Need to sharpen your knitting skills to take on this project? Check out some online knitting classes from Blueprint! 4” x 4” = 12 stitches x 16 rows in the main body pattern. If your gauge is different, adjust by using larger or smaller needles. Knit 2 together (k2tog): insert your right needle under the next 2 stitches and knit them together. This is a right-leaning decrease stitch. Slip, slip, knit (ssk): slip 1 stitch from left needle to right needle knit-wise (as if you were to knit it). Slip another stitch knit-wise. Insert your left needle back into the 2 slipped stitches from the back and knit the 2 stitches together through the back loop. This is a left-leaning decrease stitch. If you prefer to use a regular cast on, you may do so, but it will result in a seam along the edge where you join the cast on edge with the working edge. This is what the lace pattern of the body will look like. Continue in this pattern until work measures 22 inches from cast on edge, ending with a wrong side row. Note: As the pattern takes shape, if you can’t remember if the last right side row was a row 1 or a row 3, pay attention to where the YO space is from the previous RS row. On each right side row, you will be closing up the space you created with the YO of the last right side row. And creating a new YO space in an alternating space. On the WS, you should be knitting the knits and purling the purls & YOs. If you missed a YO in the previous row, it is easy to pick up a YO in the WS row. You will notice that we are knitting the last stitch and slipping purl-wise the first stitch of every row. This creates a clean edge which will make up the arm holes. Use the right needle of the size 10.5 circular needle that you used for the provisional cast with the left needle of the size 11 needle to work the first half of edging round 1. Round 1 (RS): Turn. Sl1pw. K1, p1 to end of the row. Remove size 11 needle. Place a marker. Fold the cast on edge up to meet the working edge, right side facing you and begin using the smaller needle from the cast on edge. If you used a regular cast on, pick up and knit 105 stitches along the cast on edge with the size 10.5 circular needle. You should now be using only the size 10.5 circular needles. K1, p1 to last stitch in round. Join to the beginning of the previous round by k2tog the last stitch & the first stitch of the previous row. This will decrease the total stitches in the round to 209. All Remaining Rounds (RS): *p1, k1 around. The odd number of stitches means you will be knitting the purls & purling the knits, resulting in the seed stitch pattern. Continue in this pattern until seed stitch edge measures 5 inches, using the stitch marker as your round beginning/end. Bind off with your preferred stretchy bind off. (I like this method). You can add an optional button closure with a small i cord button hole loop just above chest level to help keep the cardigan closed. It would mean so much to me if you would share my pattern on your social media platforms. Pinterest is my personal favourite! Cozy or cosy? Whichever way you spell it, it spells warm! I’m having a tough time adjusting to the change in temperature this year (especially in my office where someone is randomly turning on the AC! ), so I’ve been looking for a cardigan I can keep at my desk to deal with the fluctuating temperatures and stay toasty while I work! I’ve collected a few patterns that I like here. These cocoon cardigans have been very popular and they look super warm. What do you think? Which one will you put on your needles/hook? I really like the woven stitch detail on the cuffs and edging of this Celtic Cocoon Sweater Crochet Pattern from byaccessorize. This looks super cozy for warming up at work. Then there this Oversized Scoop Sweater knitting pattern from bromefields. It looks like a super easy knitting pattern that I could make while I watch tv. That’s the beauty of knitting… if it’s an easy enough pattern, you don’t even have to look at it for a good chunk of the time. I once knit a scarf for my brother in law while I read a book! If you are relatively new to crochet and all you remember is a granny square that your granny taught you, you could try this Granny Cocoon Shrug crochet pattern by Rove Handmade. This might be too “airy” for my needs though. But it’s super stylish and straight-forward if you’re looking for a nice accessory. This easy knitting pattern for a cocoon cardigan from Knitty Sunny looks like it would also be an easy knit. One of my favourite things about easy knitting patterns is that when you are an intermediate or advanced knitter, these projects look SOOO good. Sometimes I stretch myself by knitting something complicated. Sometimes I knock it out of the park and knit something easy that looks incredible.